Pamela Meyer has more than 30 years of extensive experience in laboratory medicine, nursing, quality assurance, performance improvement, and regulatory compliance. She works in all areas of defense litigation, assisting attorneys with medical analysis of plaintiff records, identifying potential defense strategies based on medical concepts, research and explanation of medical information, and identifying and retaining appropriate medical experts. Ms. Meyer has conducted extensive medical analysis work on cases related asbestos, diacetyl (“Popcorn Worker’s Lung”), and many other toxic tort and environmental cases. She has also provided substantial assistance to attorneys on cases involving personal injury, workers compensation, claims against pharmaceutical and product manufacturers, class action suits, and health care professional employment issues. Additionally, due to Ms. Meyer’s unique background she has provided medical expertise on the national American Red Cross account cases dealing with liability related to phlebotomy and blood donor collections / complications. Ms. Meyer joined Hinshaw & Culbertson LLP in May 2004. Her multi-faceted healthcare career began in staff positions as a hospital based medical technologist and as a nurse on medical surgical, oncology and comprehensive rehabilitation units. She advanced to managerial and project management roles in Chicago-area hospitals and with the consulting firms Ernst & Young and Cap Gemini Ernst & Young. Ms. Meyer is certified as a Medical Technologist by the American Society of Clinical Pathologists. She also has advanced certification as a Specialist in Hematology (also from the American Society of Clinical Pathologists), and upon passing the certification exam, was one of fewer than 950 individuals holding this distinction worldwide. She has managed all facets of clinical laboratories, including blood banking and pathology services, and was responsible for managing many facets of regulatory compliance for several hospitals and health systems. 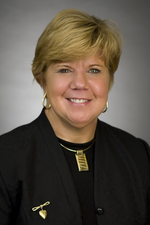 During her tenure as a national healthcare consultant, she served as one of four core team members on the regulatory compliance team, preparing hospitals and laboratories nationwide for all components of JCAHO, CLIA (Clinical Laboratory Improvement Act), CAP (College of American Pathologists), and AABB (American Association of Blood Banks) laboratory inspections. Additionally she was one of 40 consultants selected nationwide to serve on the HIPAA team. Ms. Meyer has developed quality improvement programs that identify and address internal and external service issues, resulting in improved service response to physicians and patients. Upon beginning work at one hospital, she was able to improve patient and physician satisfaction scores from 36 percent to 91 percent within a six-month period, while also addressing 41 major regulatory deficiencies that had negatively effected the laboratory and hospital accreditation. Ms. Meyer acted as a ‘team lead’ on major revenue cycle initiatives focused on educating physicians, nurses and allied health providers on improving clinical documentation to accurately reflect patient care and acuity while improving hospital and physician case mix index and Medicare/Medicaid reimbursement, and reducing legal risk. As a result of these initiatives, several hospitals realized an increase in annual revenue of more than $1 million. Ms. Meyer also has experience developing and implementing numerous hospital, laboratory and physician practice computer systems, focused on electronic medical records, revenue cycle/centralized patient registration and billing, and laboratory/pathology result reporting systems, including voice recognition systems. One of the largest projects Ms. Meyer served as a team leader on was the implementation of a centralized electronic medical record and revenue cycle system for a large major medical center in the Eastern United States. This eight-month project involved converting 80 independent physician practices to a seamless, standardized paperless system. Because of Ms. Meyer’s background, coupled with her advanced degree in education, she has worked with several educational institutions to develop and implement curriculums for allied health programs, ranging from development of the first college based phlebotomy programs to bachelors’ degree programs in medical technology and health care administration. St. James Hospital & Health Systems / member of the Sisters of St. Francis, Mishawaka, Indiana. Bloom Township District 206 Educational Foundation. Past Chairman / Vice Chairman, Board of Christian Education, St. Paul’s Lutheran Church, Chicago Heights, Illinois. “The Clinical Technician as a Member of the Patient Focused Healthcare Delivery Team,” co-author, Journal of Nursing Administration,1994; 24(12); pp. 32-38. “Diacetyl and Food Flavoring Litigation,” authored medical component of paper, Hartford Insurance Company Complex Claims Group, Hartford, Connecticut, January 2007.